To flaunt a bright and attractive smile throughout life is everyone’s dream. But not all are naturally gifted with them. A smile is so important, for with it you make your first impression everywhere you go. Unless you are confident with your teeth, you will not smile bright which in turn can even affect your career. Crowded Teeth – crowding occurs when teeth grow close to each other. This makes brushing and flossing tough. This can risk you with gum disease and tooth decay. Teeth With Many Gaps – these gaps serve as a place for food to be trapped which invites bacteria, thus making the gap vulnerable to decay and infection. Bite Problems – misalignment of teeth can result in many bite problems. These improper bites can lead to problems with the jaw, like temporomandibular joint disorder. Some common bite problems are overbites, underbites and crossbites. Invisible braces in Melbourne are easy to manage. 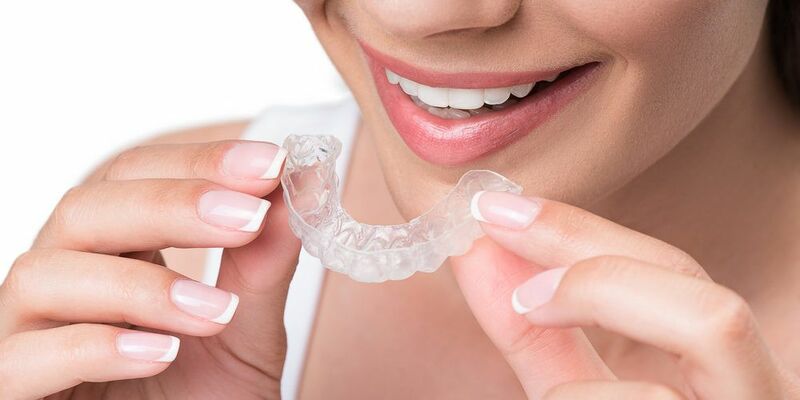 Invisible braces, made of transparent plastics are scarcely recognisable. They go with the colour of your teeth that even your close ones cannot find that you are wearing one. The invisible braces are highly effective in giving out great results within few months. Your dentist will monitor the progress and fix the time for its removal. This is a significant advantage in choosing invisible braces. These braces are easy to remove, and hence you don’t have to give up any of your favourite foods. They don’t interrupt your speech, and therefore you can wear them anywhere you go. With such excellent results and being easy to use, the invisible braces are affordable and relatively cheap than other traditional ones. This makes them one of the most chosen teeth straightening methods. Being able to flaunt a beautiful smile is the best gift you can give to yourself. And with the help of invisible braces, you can achieve it in a short period and at affordable costs. Brush your teeth and floss properly every day. Rinse your mouth after every meal and every time before you wear your braces, to avoid bacteria build up between your teeth and the braces resulting in plaque formation. Rinse your aligners thoroughly every time you take them out and wear again. Avoid taking any staining drinks or food when your braces are on.